01/11 - Pre-operative radiographic view. 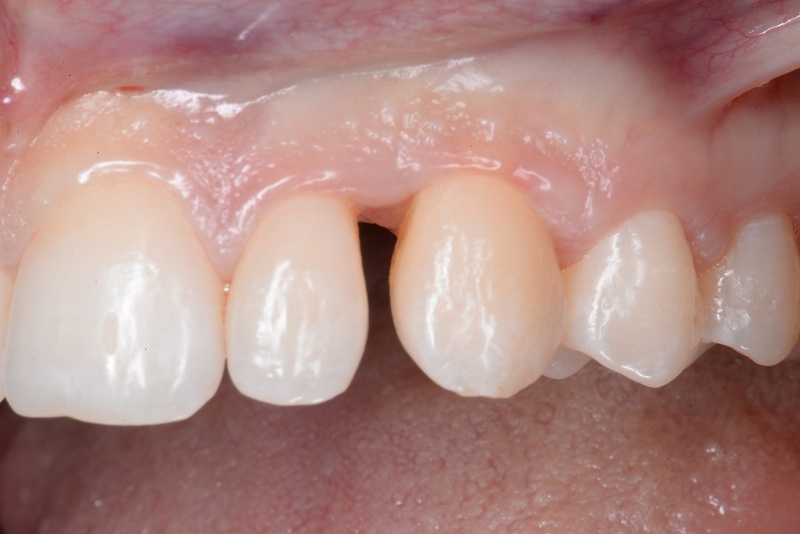 Intrabony defect on the distal aspect of the lateral incisor. 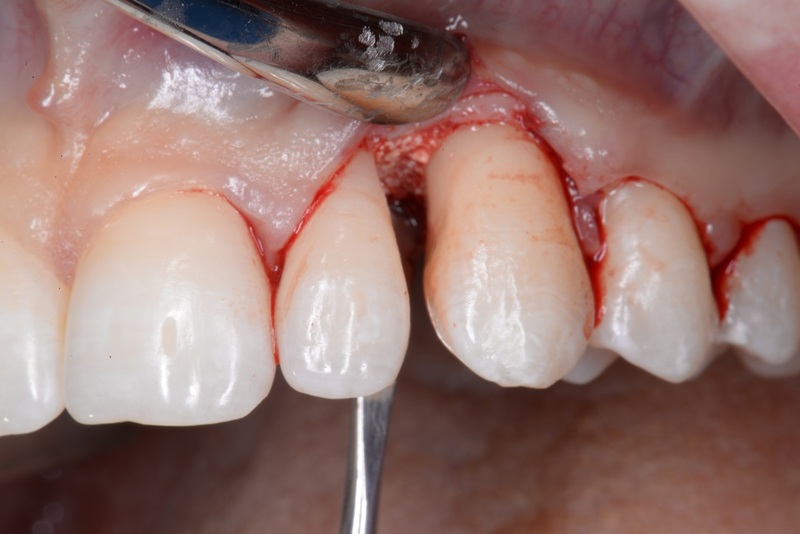 03/11 - Incisions according to the modified papilla preservation flap (MPPF) technique (Cortellini et al. 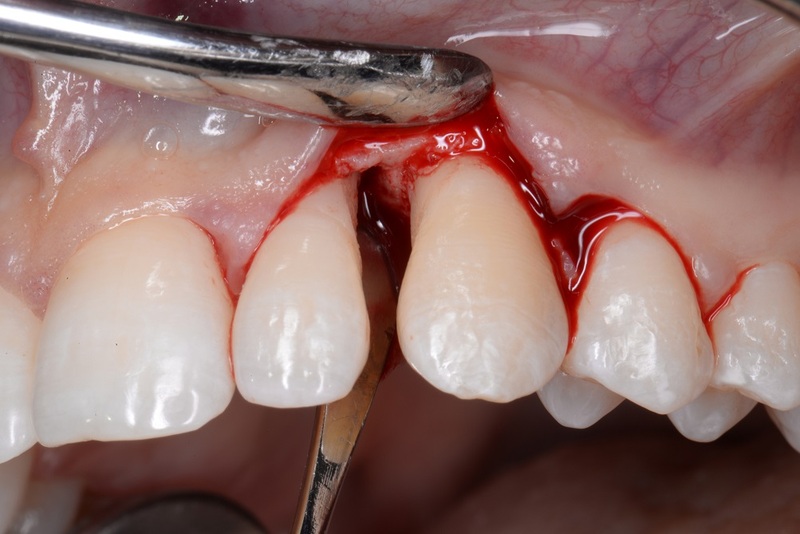 J Periodontol. 1995). 04/11 - Flap elevation according to the MPPF technique (Cortellini et al. 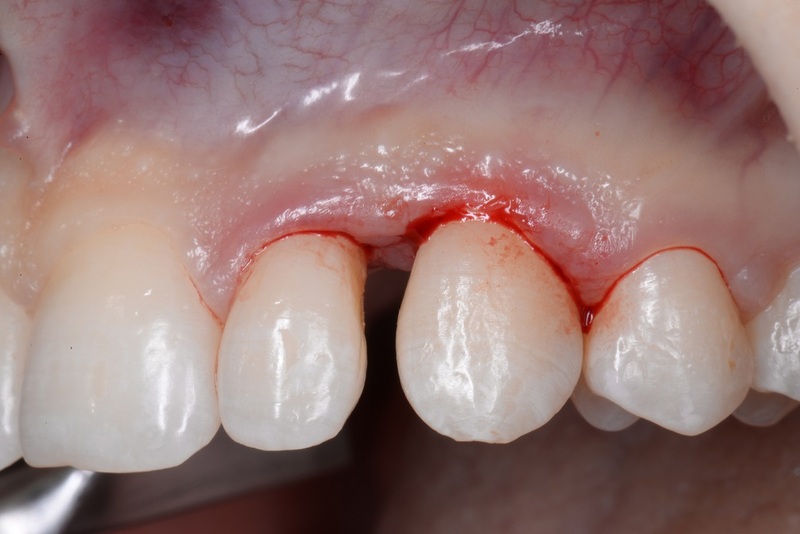 J Periodontol. 1995). 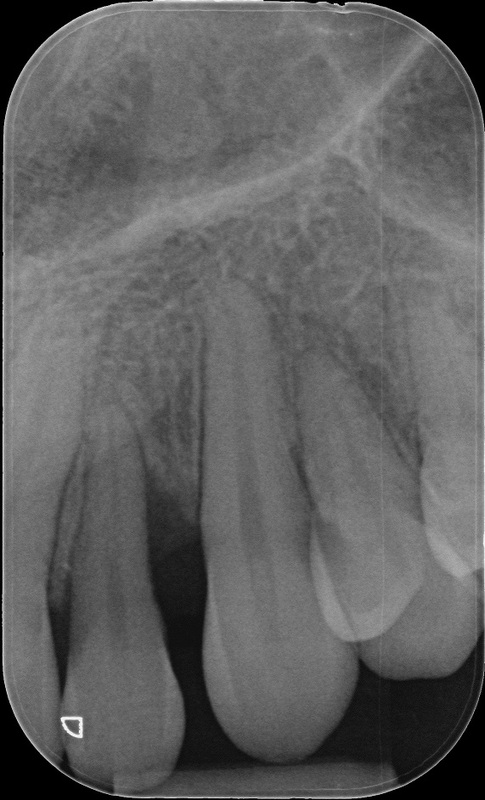 The defect presented as mixed 1-, 2- and 3-wall defect. 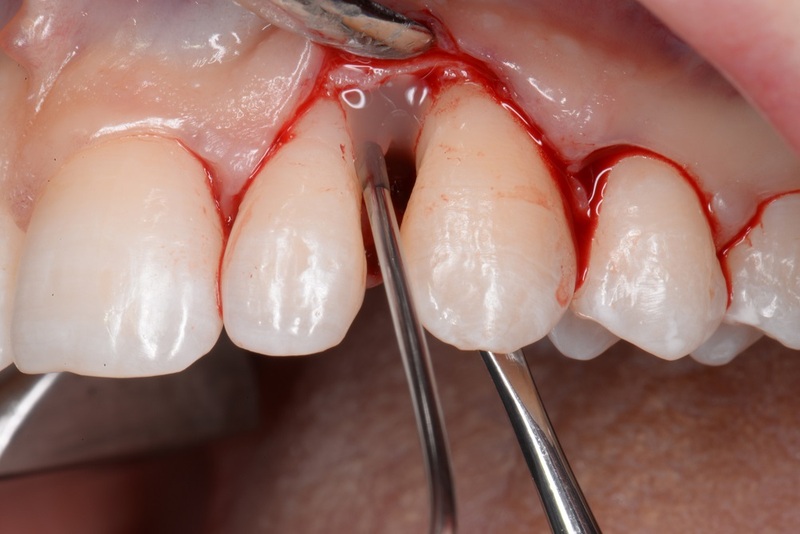 05/11 - Application of Straumann® PrefGel® to the root surface. 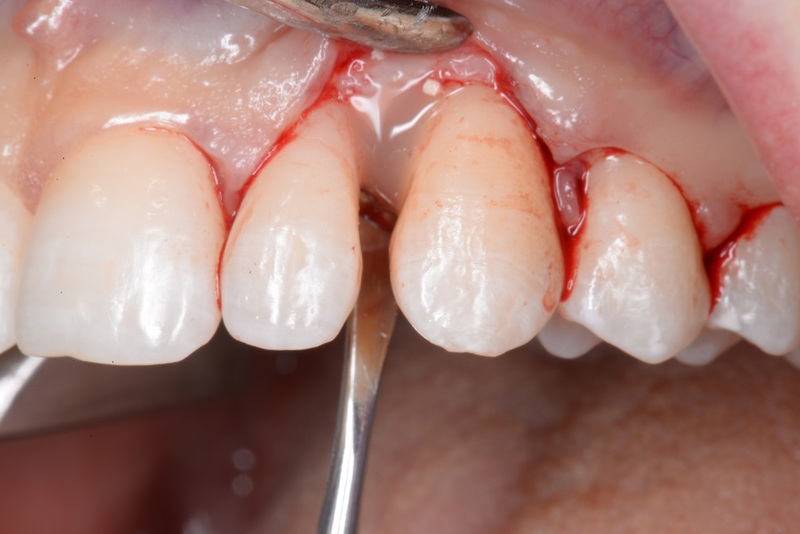 06/11 - Application of Straumann® Emdogain® to the root surface. 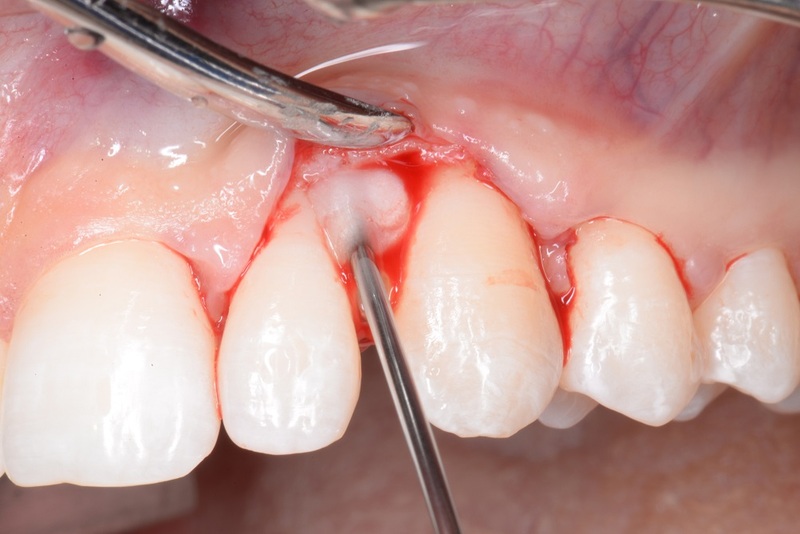 07/11 - Application of cerabone® granules. 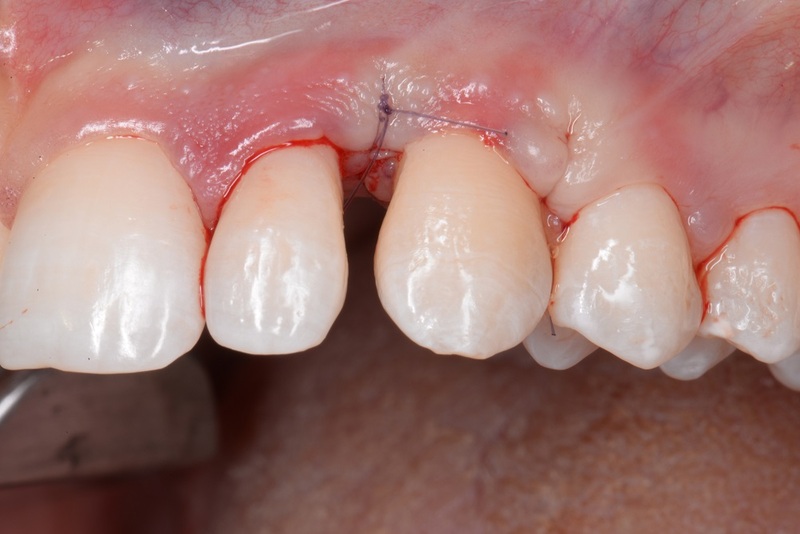 08/11 - Application of Straumann® Emdogain® on the bone graft directly before flap closure. 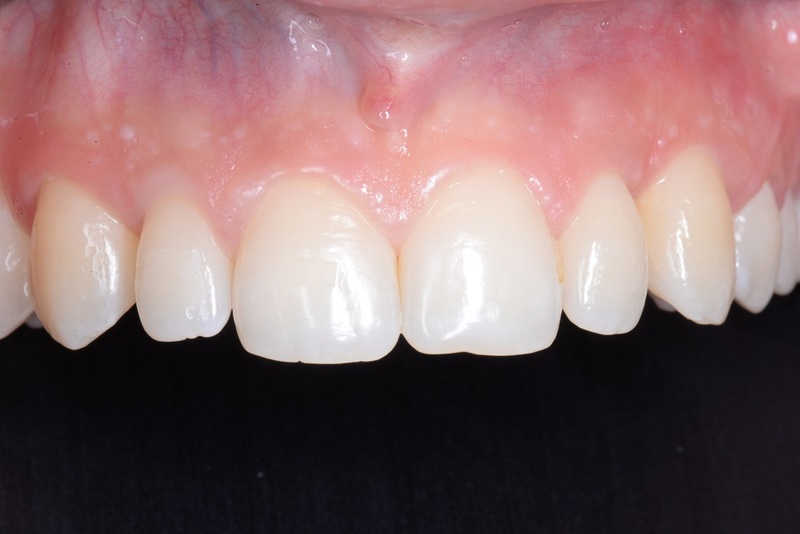 10/11 - Clinical situation 8 months post-operative. 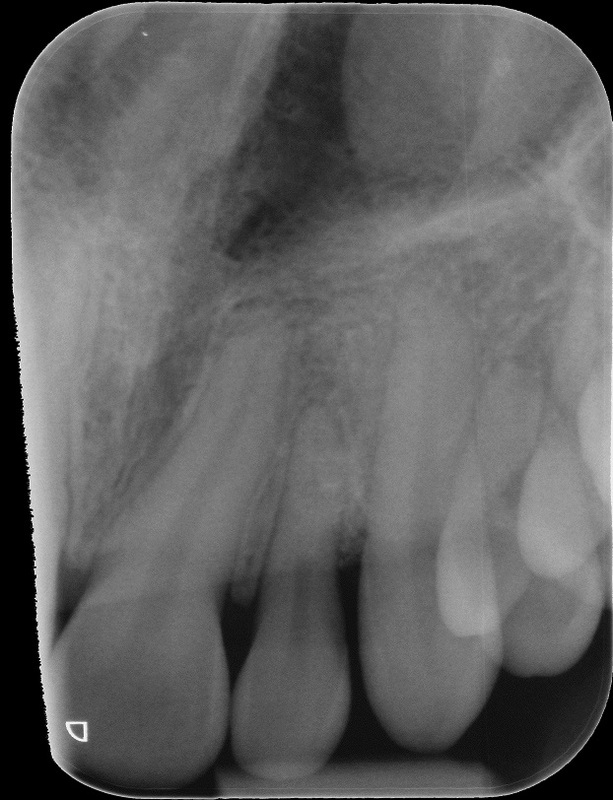 11/11 - Radiographic view 8 months post-operative.